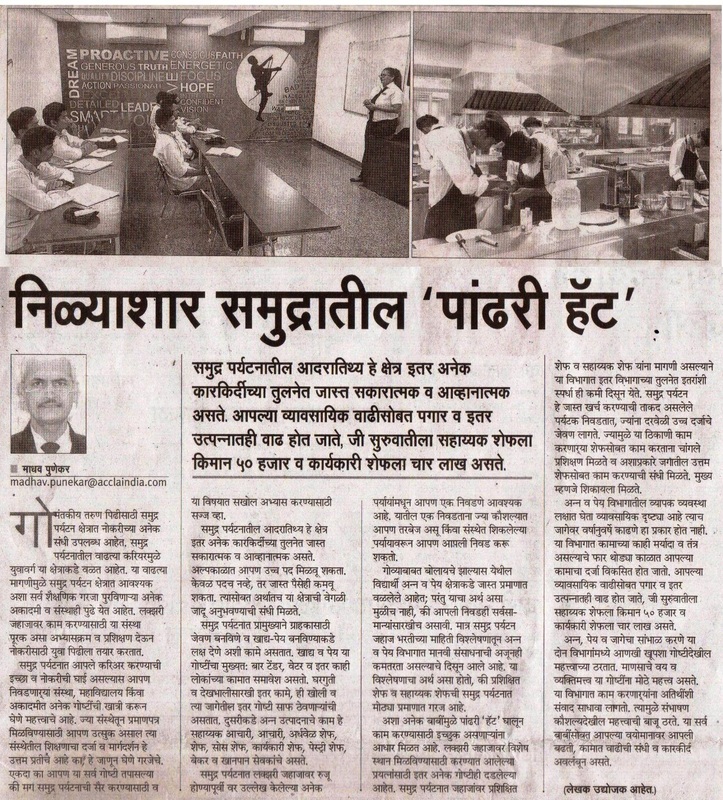 An article placed in the Goan Varta . Travelling the world as a Chef. Find out what the local daily – The Navhind Times has to say about travelling the world as a Chef in their article.. The Article can also be read online on the The Navhind Times website. Click here….. In the old days, food on board a cruise ship was not much awaited. Lack of technology and resources made it impossible for vessels to offer food that was worth advertising. Today, cruise ship chef jobs are among the most coveted sea-faring posts. All because the food culture on board a ship has taken a turn for the better. There is a certain drama associated with food on board a liner. Cruise ship chefs are expected to create art with every plate, and plates generally run into thousands per meal per day. With the variety of food options available on board today, guests are spoiled for choice and many are not afraid of taking advantage of the high-quality complimentary offers available. A recent study by travel insurance company Allianz Global Assistance found that as much as 9.4 per cent of guests did not leave the ship when it called on a port thanks to the free food and drinks on board! 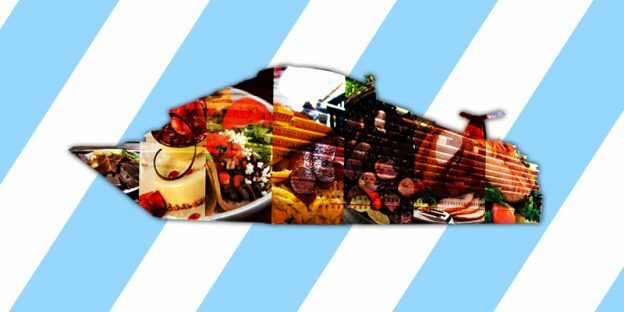 This purely goes to show that not only are guests enamoured by the indulgent choices available for free, but they also opt for these over newer culinary experiences they might encounter while out in port. That says a lot about the standard of food served on board cruise ships these days. Still, there are others who want to go all out and enjoy on-board dining, sometimes paying more than US$100 for a dining experience that could involve the captain, a celebrity chef, a specialty gourmet meal or a themed dinner. At least a couple of times during most cruises, guests are expected to turn up to a formal dinner where they are served items like foie gras, escargots, lobster tails, prime steaks or ribs, game, sabayons, and Boerenjongen’s sundaes. Thanks to the sheer volume of passengers, cruise ships stagger meal timings to ensure that everyone enjoys a memorable experience. In the main dining room, guests can choose Traditional Dining where they are assigned seats, a time slot and a table, where they will go through an entire cruise dining with the same set of people. With Flexible Dining, they can arrive as they please and will be seated at tables that have vacant seats. A large number choose the latter. The crowds will obviously show at main meal slots and this is the busiest time for cruise ship chefs – the breakfast rush is between 7am and 9am, lunch between noon to 2pm, and dinner between 6pm and 8pm. Another dining area that is a big draw, particularly for children and youngsters is the buffet restaurant, where casual attire is permitted. These are usually on the same deck as the pool and often see guests flock in after a tiring swim. Buffets serve a smörgåsbord of items from breakfast, lunch and dinner, and sometimes mid-morning and late afternoon snacks as well. An outdoor grill is usually open serving burgers, hot dogs and fries all day long. Food and the culture surrounding it is changing on board and cruise ship chef jobs are at their most challenging ever. Guests are demanding more and cruise companies are delivering, bringing a certain standard to dining options on board and providing value for money fare. Dishes are becoming so trendy that celebrity chefs are cashing in. Cruises offer kitchen tours and cooking classes for food lovers, healthy and special options for fitness enthusiasts and those with dietary restrictions, as well as comfort food that has always worked. It’s no wonder then that most guests depart with a few added kilos around their waistlines. This entry was posted in Chef Jobs and tagged accla, ACCLAindia, American College Of Culinary & Language Arts, cruise culture, cruise food, cuisine, food, international cuisine, world cuisine on April 15, 2017 by admin. Cooking is often seen as an art, but as with all things, beneath the aesthetic surface is a science that helps it come into being. In that essence, cooking is also a science. Knowing what temperatures work best for different types of food and reactions that will take place between different ingredients can all help the chef innovate every time he or she gets to work. 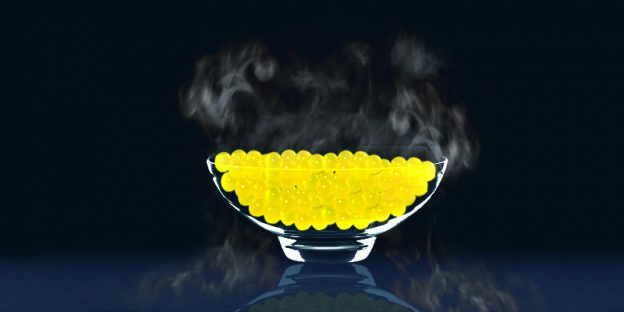 Molecular gastronomy is a style of cooking that celebrates the science behind the art. Cruise ship chef jobs have typically followed set recipes, with ingredients, styles, tastes and even final outlook dependent on a pre-decided menu. But that doesn’t mean there’s no chance at all to get a taste of this innovative style of cooking. Cruise ships these days have top chefs from around the world opening their own restaurants on board where they cook as they please and chefs in these ventures play with creative dishes every day. Royal Caribbean’s Anthem of the Seas features Wonderland, a restaurant that plays on the fantastical with ‘noodles’ that turn into soup and liquefied ‘olives’ that explode in the mouth. There’s even a ‘garden’ of baby vegetables growing in pumpernickel ‘soil’. Britannia has a fine dining restaurant called Epicurean which features molecular gastronomy styles that uses precision cooking, freeze drying and the use of liquid nitrogen to place focus on particular aspects of texture, taste and appearance that enhance the dining experience. There are Bloody Mary lollipops with Worcestershire sauce centres, or a prawn and oyster palette with pimento sauce in a paint tube, or mango with coconut milk disguised as a poached egg. Crystal’s Symphony and Serenity cruise ships also dabble in molecular gastronomy where equipment such as Pacojets, immersion circulators, high emulsion blenders, dehydrators, and smoke and spray guns play a big role in the kitchens. One of the top sellers on the menu is the Délice, a cylindrical white chocolate mousse sprayed with dehydrated strawberries that have been blitzed to look like red velvet powder. In the centre, is puréed passion fruit that serves as a beautiful contrast of texture alongside a coconut macaroon crumble and baumkuchen on the outside. Surprisingly, or perhaps not, the birth of ‘molecular gastronomy’ as a term did not take place in a kitchen. A physicist, Nicholas Kurti, and a chemist, Herve This, coined it in 1988 and the principles of this type of cooking have been popularised mostly by chefs like Heston Blumenthal of The Fat Duck, Grant Achatz of Alinea, Ferran Adrià of El Bulli and others. Understanding and studying molecular gastronomy can help with inventing new recipes. Today’s world celebrates innovation, but is also quick to criticise. Cruise ship chefs must be open in their work to learn the basics thoroughly and then use the principles of molecular gastronomy to turn classics into new culinary experiences. This entry was posted in Chef Jobs, Uncategorized and tagged accla, ACCLAindia, American College Of Culinary & Language Arts, cuisine, molecular gastronomy, scientific cooking, world cuisine on April 1, 2017 by admin.